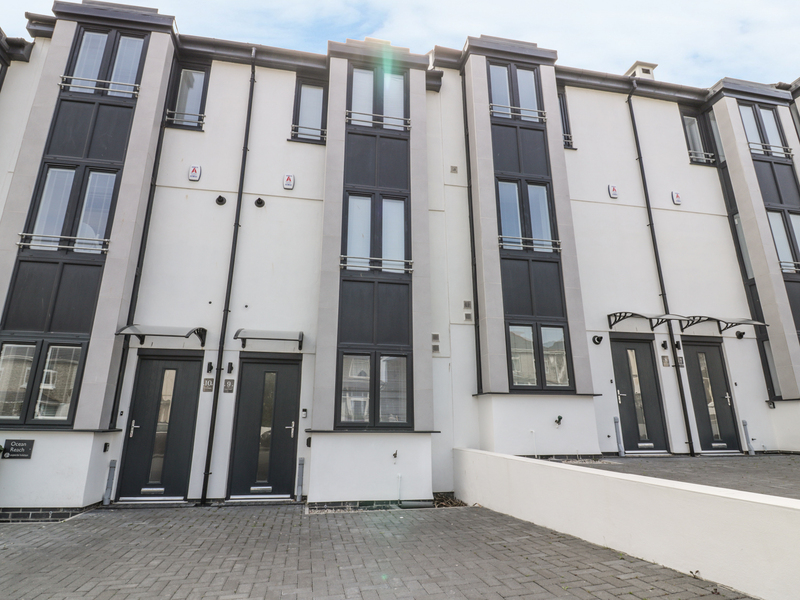 9 Ocean Heights is a contemporary townhouse in the town of Newquay in Cornwall. The house can sleep six people in three bedrooms which are made up of a king-size double with en-suite shower, a double and a twin as well as a separate bathroom. The rest of the house is made up of a cloakroom with wc and basin and an open plan living room with kitchen, dining and sitting areas. To the outside is off road parking for one car and a garden with lawned area, patio and furniture. Set in a wonderful situation, 9 Ocean Heights is a great place to enjoy at any time of the year. Gas central heating. Electric cooker, microwave, fridge / freezer, washing machine, dishwasher, TV, DVD, Wi Fi, selection of books, games and DVD's. Fuel and power included in rent. Bed linen and towels inc. in rent. Off road parking for 1 car. Garden with lawned area, patio and furniture. Two well behaved pets welcome. Sorry, no smoking. Shop and pub 5 mins walk.